asking for this book for two years. 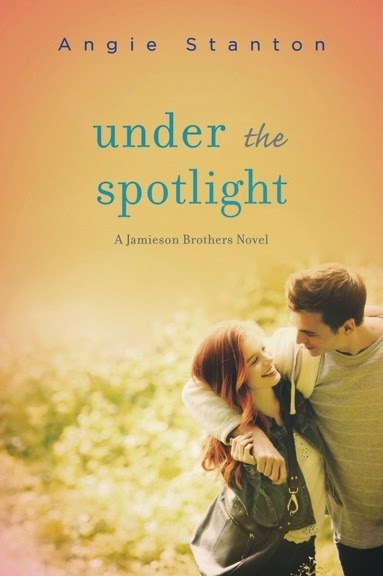 At long last, here's the cover for Garrett's book, Under the Spotlight! Publication: May 5th 2015 by HarperTeen. After an embarrassing stint on a reality TV music competition years ago, RileyParks vowed never to sing again. Now she's working at the prestigious Sound Sync recording studio and life is looking up. But then Garrett Jamieson, the oldest brother in the famous band Jamieson, crashes into her world. Angie’s next release is titled Under the Spotlight releases on May 5, 2015..